Bone appetit! Create a snack your kids won't be able to keep their paws off. These crispy crunchy snacks make for a special treat. 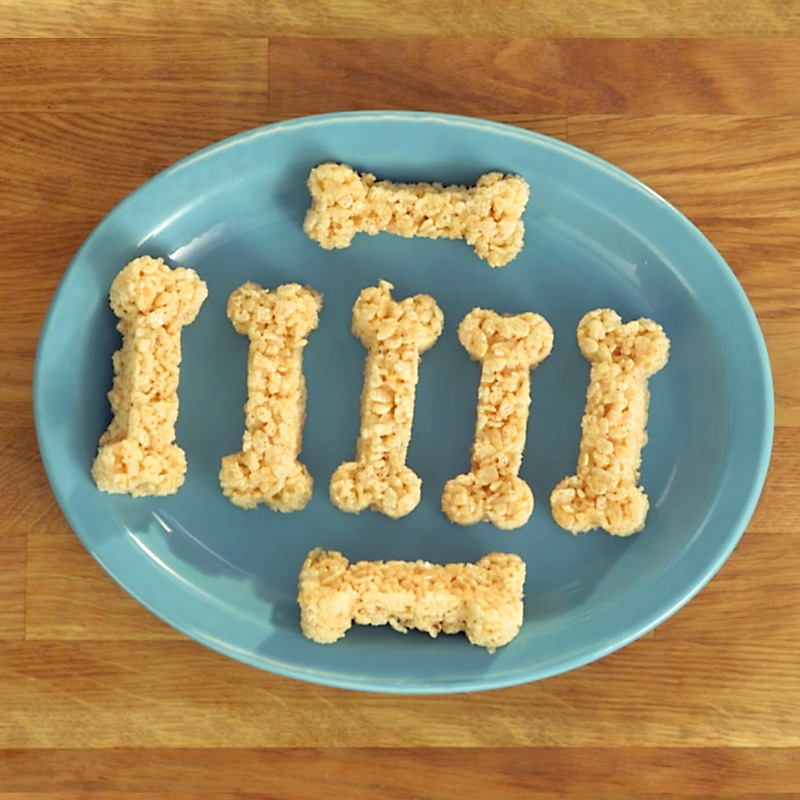 Serve them to your pups on the weekend or during a special PAW Patrol party. Step One: Grease a large jelly roll pan or cookie sheet with butter. Combine the butter and the marshmallows in a large pot and stir until totally melted. Add the rice cereal and stir until all ingredients have been incorporated. Step Two: Spread mixture on the prepared cookie sheet, stopping to wet hands every now and then, to prevent sticking. Step Three: Use the bone cutter to create bone treats for your PAW Patrol fan! Bone appetit! 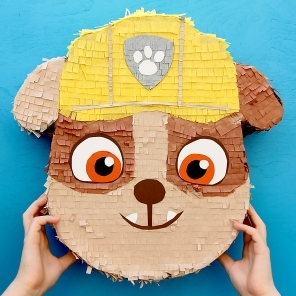 Build your own Nick Jr. themed Piñata!